Himachal Pradesh because of its majestic beauty might relish the boom in Real Estate Industry. Lately, State Government of Himachal Pradesh has opened the entry gates for the outside property investors in residential sector. Developers from various parts of the world are approaching the state to invest huge amount of money in the Himachal Pradesh Real Estate market. As Real Estate market has immense potential in the state, it may have led to increase in the number of home-buyers too so the investors should know about where they should go if they come across any hassle on their investments. After the RERA Act, 2016 let have the view the effect of the enactment on Himachal Pradesh. RERA (Real Estate Regulatory Authority) Regulation has been enactment from 01/05/2017 with the specific object to ensure (i) accountability, (ii) sustainability, (iii) grievance redressal, for real estate industry. Delay in possession of the Property. Real Estates grievances involves huge amount of financial interest so filing of RERA complaints shall always be under the guidance of the professional, who owns the knowledge of the Real Estate Industry and also has the understanding of the RERA laws. In Himachal Pradesh the online portal for RERA has been launched so now all the issues incidental to Real Estate investments on which any aggrieved home-buyer wants to file a complaint, can reach the authority online. RERA complaint in Himachal Pradesh can be filed before following authorities depending upon the kind of grievance. 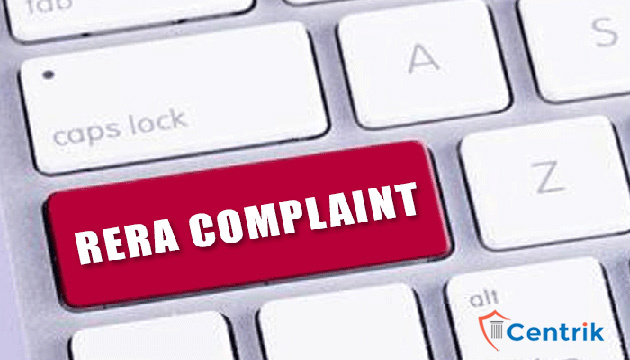 (i) Complaint to RERA Adjudicating officer – Any complaint relating to claim of interest and compensation, which is covered by section 12, 14, 18 and 19, of RERA Act, 2016, can be filed in form ‘O’ before Himachal Pradesh RERA Adjudicating officer. The complaint shall be filed with the fees of Rs. 500/-. The RERA Authority shall, after following the prescribed procedure, dispose the complaint within 60 days of filing. If it is not disposed in said period, the officer shall record the reasons. (iii) Complaint to Himachal Pradesh RERA Tribunal – RERA Tribunal is second appellate authority. May file complaint to Himachal Pradesh RERA Tribunal in form “N” in physical within 60 days from the date of receipt of such order after paying the prescribed fees of Rs. 1000/-. For more details and advisory, please mail us at rera@centrik.in or call us at 8383011629.